We focus on providing the knowledge and experiences for our student athletes to exceed. For details on timing and costs of current events, click on event below. High School: 8-12th grade & Middle/Elementary: 1st -6th grade players. The YAC Football Academy will begin tts 4th season beginning January 15th thru April 5th at our Camarillo Facility. The 12 week training program will be an opportunity to equip our members and enhance their abilities in the following areas: Tutoring to help students with their school work, Training on the field and in the weight room to enhance their athletic performance and Character and Leadership training to become well rounded. High school players in 8th-12th grade and Middle / Elementary players in 1st-6th grade will be part of an exclusive group that will be trained by the best coaches and mentors in the 805 area to help them reach their goals and aspirations. We provide a safe and positive environment for our student-athletes to maximize their abilities athletically , academically, socially and spiritually while equipping them to be leaders in our community. .
$600 for High School players & $450 for Middle / Elementary players. Payment Plans are available upon request Scholarships for families in need are available. For more information, contact us at 805-312-8242. ​Click here to register now ! The Camarillo YAC facility has spots available for those athletes looking for high level training to prepare them for their upcoming seasons. Our performance coaches are ready to help you take your game to the next level!!! Sessions are $30 each or purchase 10 sessions for $250. It is open to youth ages 6-14 . The cost is $120 per player and includes a YAC shirt for the games. Join us as we develop our youth, build their confidence, teach them team work in a fun and safe environment ! SESSION 2 ( Spring Season) will begin April 20th for assessments (Games will start April 27th - June 1st 2019. Contact us today to get your youth team registered. Call (805)312-8242 or click here to register. 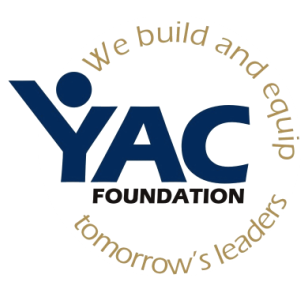 ​Beginning January 10, 2017, the YAC Academy in our Camarillo facility will be open to 5th, 6th and 7th grade boys. The program runs for 12 weeks through March 30th on Tuesdays and Thursdays from 4-6pm and will offer tutors to help students with their schoolwork, training sessions with our performance coaches and time for character development and community building. Our goal is to offer a safe and positive place for boys to grow athletically , academically and socially. The 12 week sessions are $360. For more information, contact us at 805-312-8242. Click here to register now ! YAC is partnering with a group of men, fathers, mentors and sons in Camarillo to do an Iron 27 event every month to engage relationships with fathers, sons and mentors. The group meets at the Camarillo YMCA and will host its next fun event February 26th from 4-6pm. Ultimate frisbee/ dodgeball, BBQ, hoops, Breakout session for Dads, Mentors, Grandfathers. ​Call us today, 805-312-8242, if you are interested in being a part of this great event.